So, are we not doing Spring this year? For most of us living in the United States, Spring cannot come fast enough. Although we have had glimpses; a 45 degree day, sunshine, even a robin or two, perhaps, we’re still itching for the nicer weather. However, with the second, third, and some may even argue a fourth Winter, the need to become a bit “creative” to kick off the Spring season has definitely come about. One way to “wish Spring upon us” is to start preparing your outdoor areas for movement and life again. You may have an empty patio or a backyard that is in need of some furnishings. Finding the right furniture for your outdoor space can have you feeling at times like Goldilocks, hopping from seat to seat to find the one that fits just right. But, finding the right piece/set is satisfying, and even fun. Sometimes, it may feel that the options are endless. With so many different materials to choose from, the decision can become a little overwhelming. Whether you choose metal, wood (teak or wicker) or poly lumber (HDPE plastic), these tips should help you make the most out of the life of your furniture. Let’s Keep this Clean – Depending on the material of the furniture, the cleaning products and process might differ, but it’s important to regularly clean of your furniture; dust, wipe off the surfaces, use sandpaper to remove any rust or tough grime and occasionally oil the wood to keep it hydrated and prevent splintering and cracking. Pack it Up – When putting away/storing your furniture for winter and cold, make sure to clean and repair BEFORE storing. If you’re in an area where snowfall is inevitable, find a cover large enough to protect your furniture and remember to tie down any furniture that may be susceptible to strong winds. Separation isn’t Always a Bad Thing – Store your cushions and pillows separately from the furniture – moisture can get in and can create mold and damage, so it’s best to store cushions in a dry area. Square Peg, Round Hole – Just like you can’t fit a square peg in a round hole, there are certain substances and products that should only be used for specific materials. Make sure to follow the cleaning and maintenance regiment for the specific type of material. This not only includes cleaning, but also repairs and general maintenance best practices. Get A Material Built to Last – Purchasing plastic lumber for your outdoor furniture is a great alternative to wood and metal. 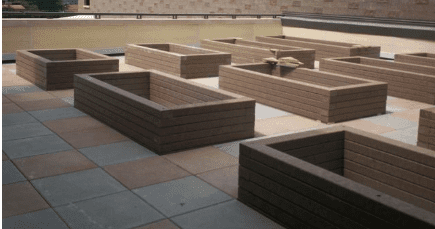 The benefits will outweigh the heavy snow that builds up over the winter, and with many color options and textures, you’ll have numerous options to make your outdoor area the talk of the neighborhood. Plastic lumber outdoor furniture is sustainable and durable. It will stand up to extreme environments and is truly built to last. It’s easy to clean (rinse away even the toughest stains with soapy water) and will not rot or degrade. Interested in learning where you can find our plastic lumber?